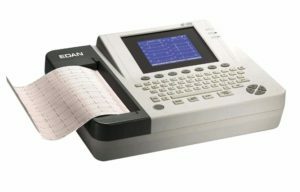 Edan Pedigo Universal Clamp model number P-3500n 12-Channel Express ECG: SE-12. Given the high demand within the United States, Edan USA was formulated in 2009 to offer local service and support for U.S. sales. All of our products come with a three-year manufacturer’s warranty. Our goal is to offer high-quality diagnostic equipment, that improves quality of care to patients, with customer pricing 30% â€ 40% less than that of major U.S. competitors. 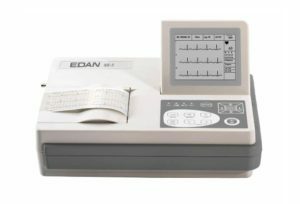 Edan 12-Channel Express SE-12 ECG Features: The twelve-channel ECG SE-12 Express is a special system of smart ECG series, which support both resting ECG and Exercise ECG. Alphanumeric keyboard and one-touch operation design make it the perfect choice for you. 12.1-inch high-resolution fold-able color TFT touch-screen, specific function keys for Exercise ECG test and various treadmills or bicycles and Suntech tango+ exercise blood pressure monitor supported. Customized exercise protocols. ST analysis and reports and complete digital filters, resisting baseline drift, AC and EMG interference. 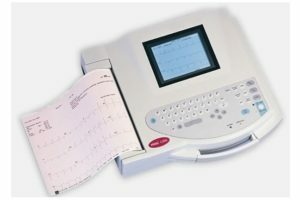 Additional features are Ethernet and RS-232 interface for data transmission to PC, a built-in rechargeable Lithium battery, sleep mode for saving energy and extending LCD life, and real-time waveform freezing with 120 seconds ECG waveform review-able Wave-forms and auto-diagnosis results preview before printing. 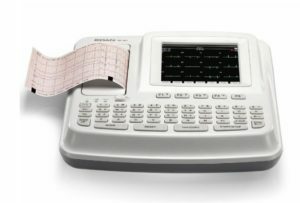 Automatic arrhythmia detection and recording. 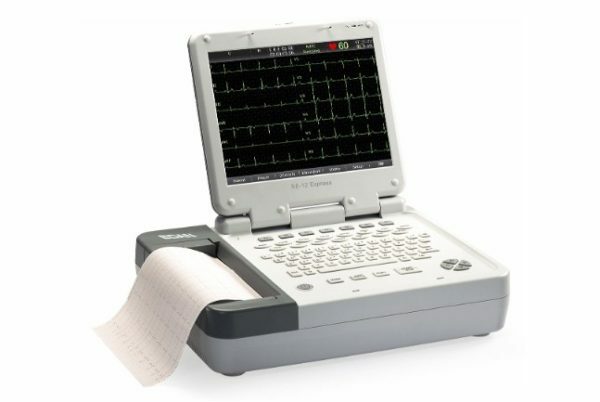 The SE-12 has 200 ECGs in internal memory, automatic measurement and interpretation tested with authoritative CSE database as well as heart rate variability (HRV) analysis. 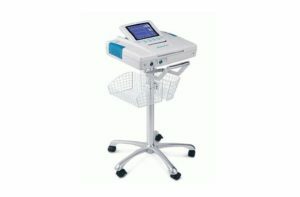 Available Options including PC-based data management and measurement software “Smart ECG Viewer” and Trolley and cable bracket, are (Sold Separately). See tabs for more information.